The folks at Chefclub Network, a recipe video site, woke up last week to a pleasant surprise: A Facebook video they’d created about how to make chicken cordon bleu was racking up tens of thousands of shares. In the days since, it’s been shared more than 396,000 times. 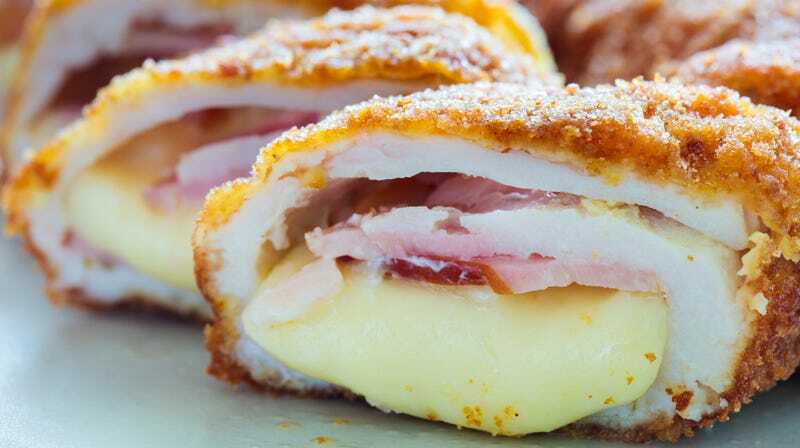 “Gosh,” they must have thought, “People sure like cooking chicken cordon bleu!” Not exactly. Before viewing the video for myself, I wondered how explicit the chicken could be. Friends, it is explicit. I am not one for sophomoric jokes, but I’d truly be nervous to watch this cooking video on a screen in view of my coworkers. There are, as I see it, two possible explanations for this video. Either Chefclub Network’s producers knew exactly what they were doing with this distinctly shaped chicken recipe (most likely). Or, the company has no one on staff who is even remotely familiar with the female anatomy to raise the alarm that the recipe looks like, again in all caps, LADY PARTS.